The glorious day is disappearing under a pile of ‘to do things’ – tax return, xmas cards, e-mails etc. So after lunch I draw the line and decide to get out. 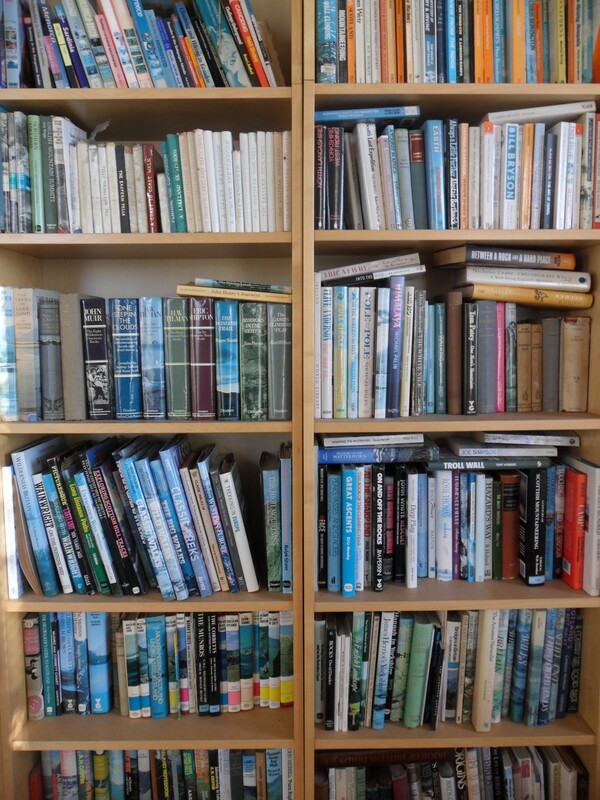 I’ve, like many of you, a library of guide books, some international, some national but many local. Looking for inspiration I delve into a local one and come upon a walk passing by ‘The Written Stone’ on Longridge Fell. Somewhere I’ve not visited for years, perfect for this short afternoon. 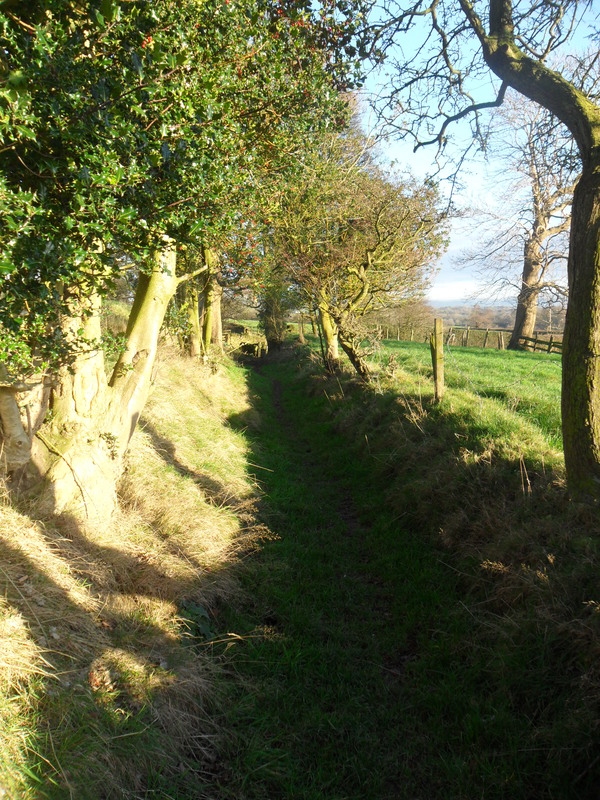 Looking back down Mile Lane. Many legends and myths surround this stone, woe betide anyone who tries to move it. Tales of ghosts and boggarts abound…. 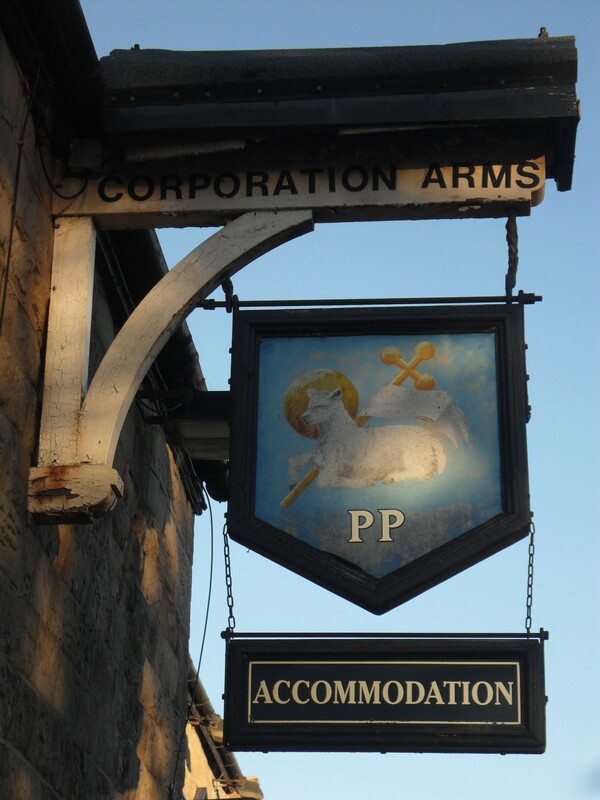 Safely on my way I pass the CORPORATION ARMS pub, formerly the BLACK BULL INN, built in the 1700s. It was bought by Preston Corporation Waterworks and renamed in about 1865. 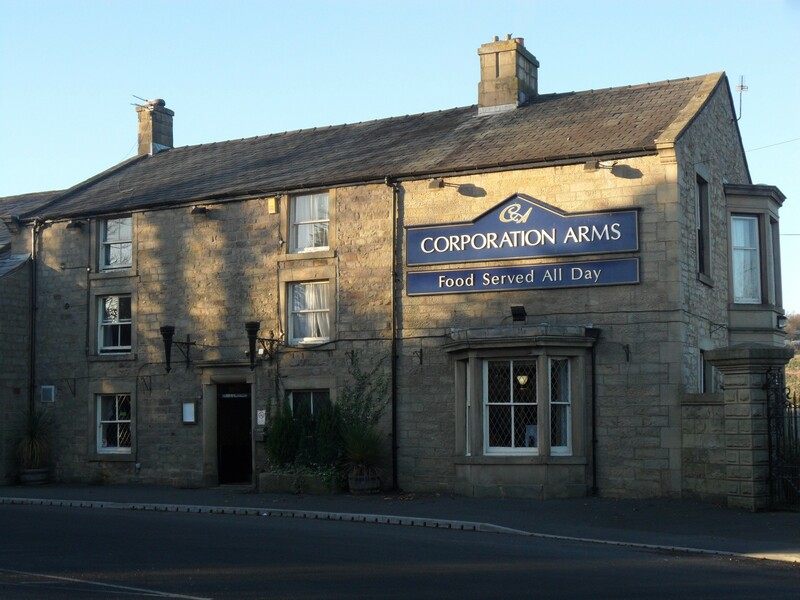 It is reputed to be the only pub in the country to be owned by a waterworks! As I return home via the village shops the ice on the shady walls has not yet melted. Spooky. 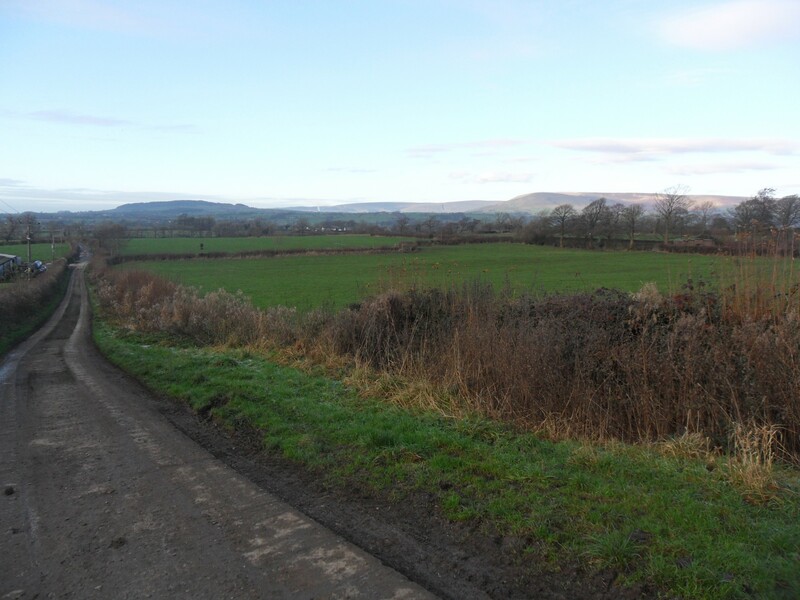 This entry was posted in Longridge, Longridge Fell, Walking. and tagged Longridge, Longridge Fell, Walking. on December 5, 2014 by bowlandclimber.